Prince Dopey is behind the entrapment and murder of Jamal Khashoggi. Why Crown Prince Bin Salman ever let Prince Dopey and his faction walk at the height of the coup which put him (Bin Salman) in power is baffling. Think about all attacks past 18 months Dopey’s been tied to. This whole thing is a calculated, well thought out, well executed set-up. The end goal is to force @realDonaldTrump to denounce Crown Prince Bin Salman (a reformist), which opens the door for Dopey and his faction to depose Bin Salman and regain power for old guard. If this were to happen, Saudi Arabia would fall back into the hands of the old guard which carried out 9/11 with Mossad, MI6 and U.S. intel operatives aligned to HW/Cheney old guard (their “inner circle”). You’d then see escalation of tension in Middle East, triggering a regional war, with hopes of then triggering WWIII. Crown Prince MBS knows the truth of 9/11 and the involvement of Saudi Arabia via Prince Dopey and his faction within House of Saud. MBS plead with his father to abdicate the throne before Prince Dopey and his faction, along with their global Deep State allies, could take it. Game Theory shows there’s no logical or rational reason for Crown Prince MBS to take out #Khashoggi. 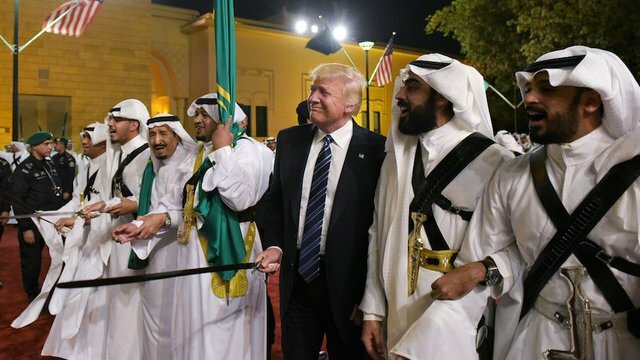 Doing so would destroy all reform efforts, force @realDonaldTrump to denounce him, &leave Saudi Arabia under MBS rule alone & isolated. The media ALWAYS went out of their way to ignore atrocity after atrocity committed by prior regime in Saudi Arabia. ...if a reformist ruler & Trump ally wasn’t in control of Saudi Arabia. For over 20 years, this is how events would play out when China announced they intended to send either a probe or a manned mission to the moon. Certain factions within the U.S. - mainly the old guard system in CIA / NSA / U.S. military created by the late @GeorgeHWBush as D/CIA and his predecessors - knew the truth of what we found...and who we found...on the moon with the Apollo missions. As a result, this faction would bribe China to quietly scrap their plans in exchange for whatever they wanted. China could never prove what was going on up there, but took the deal from the United States. - Trump authorizing DoD to create U.S. Space Command as another division of the Unified Combatant Command System. - Military sources I work with advising that getting out of the DMV area for the holidays is a smart move. P.S. - @GenFlynn will likely get off due to FBI entrapment and prosecutorial procedural error. It will be fun to watch Mueller let Flynn off and then train his sights on @Comey , Paige, Strzok, etc. based on all he has learned via his investigation. This is the standard acronym for D.C. metropolitan area and suburbs used by all who live here. The FD-302 (interview notes) from the FBI’s interview of @GenFlynn has been released. Oh my god @realDonaldTrump is currently on the phone with service members bragging about the economy and suggesting they are deployed to fight for the economy. “Big big progress has been made” against ISIS, @realDonaldTrump says. 1/ With respect to the assassination, both Trump and Kushner both have skin in the game. 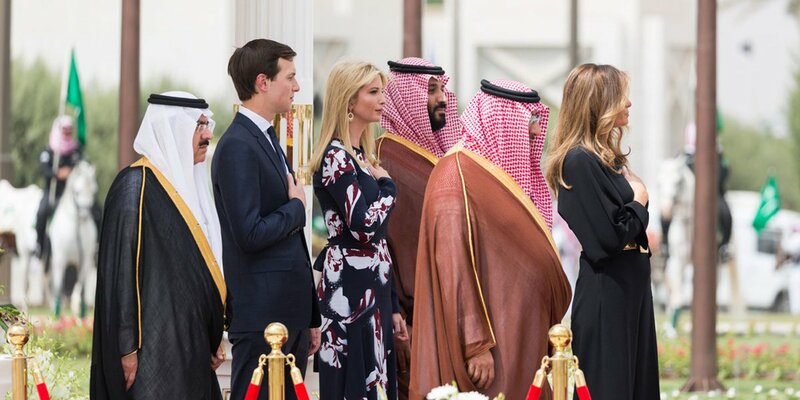 2/ Saudi Arabia was the first state visit Trump made as president, a trip organized and pushed for by Jared Kushner, who is chummy with the Crown Prince and has acted as the de facto ambassador to the Kingdom. Let's talk about how Kushner and Trump are closely connected to the murder of Jamal #Khashoggi by goons sent by the Crown Prince of Saudi Arabia, who goes by MbS. 1/ Kushner & Mohammed bin Salman (MbS) have "forged a bond" the last two years. They are both about the same age, both ambitious, both the hidden powers behind their respective thrones, both men of wealth & taste. Born on third base and think they hit a triple, as the joke goes. 2/ In Riyadh last October, on Kushner's sudden unannounced trip, the two stayed up until four in the morning, “swapping stories and planning strategy." One of the “stories” swapped, apparently, was classified information compiled from the President’s Daily Brief.